We hope to see you soon at the Comfort Hotel Jönköping. Please find below some useful information for anyone planning a stay at the hotel. The easiest place to park is in our garage below the hotel. Nordic Choice Club members pay 150 SEK for 24 hours and non-members pay 170 SEK for 24 hours. Parking spaces can be reserved subject to availability, at a cost of 190 SEK for 24 hours. Anyone staying here has access to free WiFi throughout the entire hotel, so you'll always be online! In our lobby shop you can buy snacks, sweets and drinks. We also sell lots of useful things such as hair products and toothpaste. The lobby shop is located by the reception and is open 24 hours. Did you have a late Saturday night? Don't panic! On Sundays we serve breakfast until 12 noon. If we have space and capacity, we will let you keep your room a little longer too. But remember to ask at reception first, before you hit the snooze button on your alarm. At Comfort Hotel Jönköping we also welcome your four-legged friends. They can stay at the hotel with you for an extra SEK 250 per visit. Guide dogs are of course welcome at no extra charge. But remember to tell us when you make your booking, so that we can find a suitable room for you and your dog. We offer room upgrades from SEK 100. Ask at reception, we'll be happy to help. 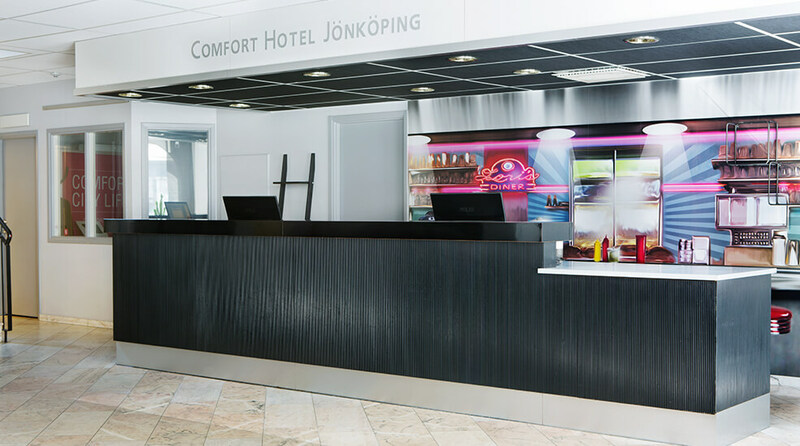 The Comfort Hotel Jönköping is a cash-free hotel. This provides a safer working environment for our staff as it reduces the risk of theft and burglary. 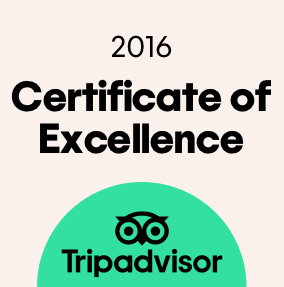 It also means that we have more time to spend on taking care of our guests. For guests it means faster and more secure payments. We accept all major debit and credit cards. Please contact us for more information.